The group initially attracted attention as a sound system, playing records at house and street parties (where their clothing style, dubbed 'Funki Dred', started a line of clothing). 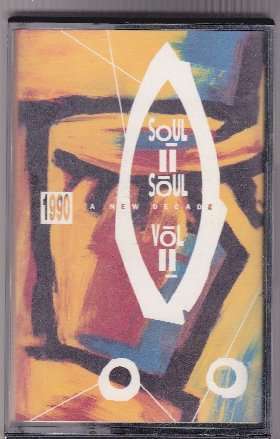 Founded by Jazzie B and featuring a changing roster of other musicians - notably Nellee Hooper, Simon Law, Phillip 'Daddae' Harvey and Caron Wheeler - Soul II Soul's experiments in music-making of their own resulted in the dub plate 'Fairplay,' which secured them a recording contract with Virgin Records. Their first singles in 1988 failed to make the UK Top 40, but the group went on to commercial success in 1989 with the singles 'Keep on Movin'' and 'Back to Life (However Do You Want Me)', which topped the UK Singles Chart for four weeks, and was the fifth best-selling single in the UK that year. Both tracks, which featured Wheeler on vocals, were taken from their debut album Club Classics Vol. One which reached number 1 in the UK Albums Chart and was certified triple platinum by the British Phonographic Industry. In July 1989, the British music magazine, NME, reported that Soul II Soul had to pull out of their scheduled live appearance on BBC Television's Top of the Pops programme, following a dispute with the programme's producer. The group also had some success in the United States, where 'Back To Life' reached the Top 10 and was certified platinum, and the album (renamed as Keep On Moving for the US market) reached the Top 20 and sold over two million copies. The group also won two Grammy Awards; Best R&B Performance By A Duo Or Group With Vocals for 'Back To Life', and Best R&B Instrumental for 'African Dance'. Source: Wikipedia. The fixed price for the audio CD includes shipment (p&p) to anywhere in the world! Stock last (we immediately remove the 'buy now' button if we sell a CD).